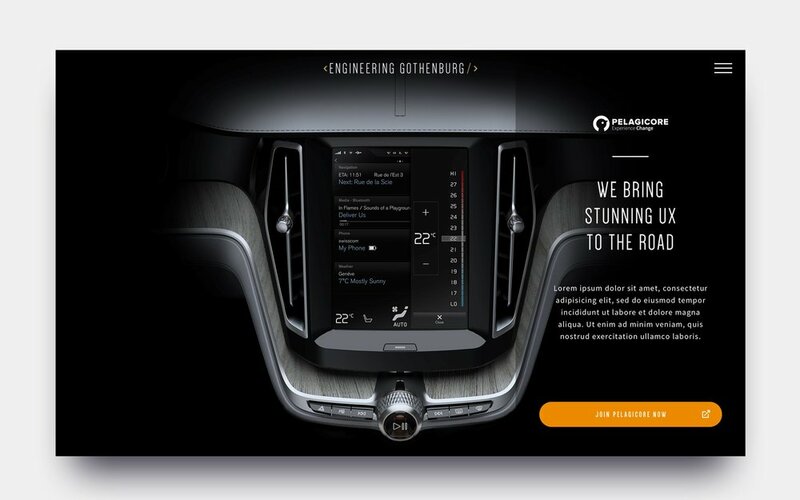 Pelagicore together with Volvo and Delphi wanted to attract engineers to Gothenburg by doing a joint campaign that told the story about what they do together. Working with such a big company as Volvo, you need to communicate very clearly. Video heavy sites is really slow on mobile. Be realy sure about the direction when working with three companies at the same time.